Flying into Melbourne for business? Melbourne is a beautiful sprawling city, with Port Phillip Bay as its sparkling centrepiece. 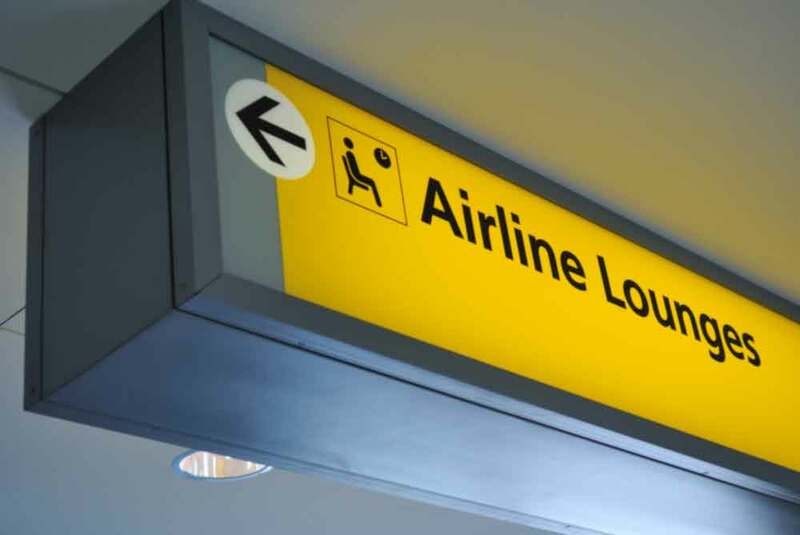 Melbourne’s airports are a long way from the heart of the business district and it’s highly recommended that you pre-book Melbourne airport transfers, as taxis and other services can be in high demand. Airport transfers within Melbourne range from the humble hotel bus to the “arrive in style” limousine; so on-brand with Melbourne’s sophisticated business culture. When considering the right airport transfer for your next Melbourne business trip, take into account the distances, airports and Melbourne’s famous traffic quirks. The right Melbourne airport transfer will get you there safely, on time and in style; the wrong one could leave you stranded. Warning: Melbourne is an impossible city to self-drive! Everything that makes Melbourne amazing also makes it a difficult to navigate. Melbourne, like Sydney is almost impossible for non-natives to self-drive. Just as Sydney is perched on the world famous harbour, Melbourne’s sizeable Phillip Bay makes getting from A-B impossible without a side trip through XYZ. While your destination may be a few short kilometres as the fly crows, your hotel may actually be a sizeable distance from your business destination. When turning right across the path of a tram in Melbourne’s heart, you’ll need to “go left” and complete a “hook turn” against the red light. You’ll also need to stop when the tram stops and watch for pedestrians crossing haphazardly. While the trams are a gorgeous addition to Melbourne’s pretty tree lined streets, they’re also a danger for novice drivers. TIP: Booking a local airport transfer in Melbourne means avoiding slow tram routes and dangerous situations on the road. Talk to us about how our chauffeur driven limousines and town cars can get you around Melbourne faster. To keep traffic moving along major arterials, Melbourne drivers use local roads, called slip lanes, to enter and exit traffic. These lanes run separately but parallel to the major road and are the only way on and off the road. This can be disconcerting for non-native drivers. TIP: It’s almost impossible to avoid slip lanes so choose an airport transfer service that knows Melbourne’s roads. Don’t risk a crash on your next business trip. Part of Melbourne’s appeal is its charming CBD, with its little laneways to explore, its shared roadways and quirky little cul-de-sacs… all of which add up to a driving nightmare. Melbourne, like Sydney, is famous for its navigational challenges! 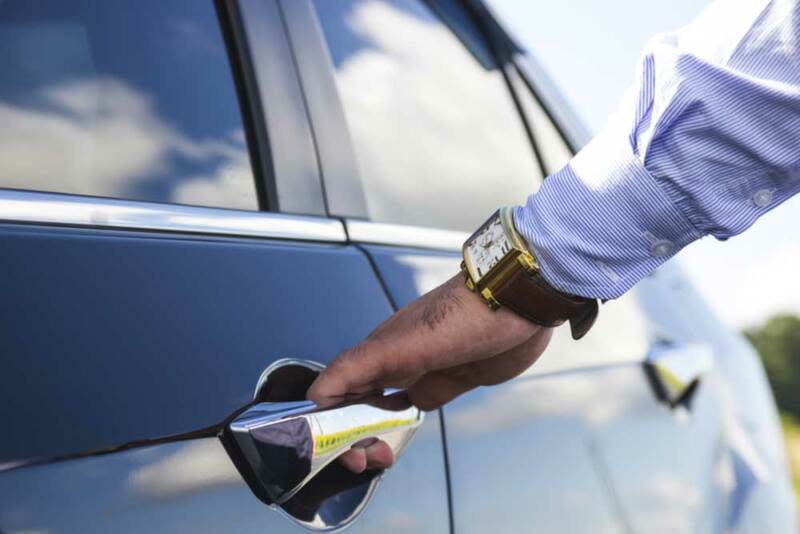 When travelling for the first time in Melbourne’s CDB, consider a chauffeur driven vehicle – not only will it get you there safer, but some roads allow “driven” vehicles access where private vehicles cannot go. This could just mean getting to your destination without getting lost or delayed. This elegantly curved and simply stunning focal point on Melbourne’s landscape is the main (and only) overwater link from east to west. It carries traffic across the mouth of the Yarra River as it meets Phillip Bay and reduces travel times significantly, especially for those commuting from Avalon Airport. Unfortunately, it’s also a cable stayed bridge of great height. A what now? Being a cable-stayed bridge, it’s susceptible to high winds and may be closed if there’s a risk to commuters. For Melbournites, this is one of the biggest complaints about city traffic. As a business traveller, a strong wind could leave you stuck in standstill traffic that diverts you from the west, through the north western suburbs and back south before you reach your city destination. TIP: If travelling from Avalon Airport to Melbourne’s CBD, or from Tullamarine to the western suburbs, choose a Melbourne airport transfer service that can help you avoid unnecessary delays due to bridge closures. Like most major cities the airport roads are subject to tolls. If you’re not a local, you won’t have access to a Citilink Pass. If you are hiring a car in Melbourne, you’ll need to pay any outstanding tolls promptly or you will incur hefty administrative fees for late payment. Melbourne car rental companies will require an international driver’s licence and passport to rent a vehicle. If you’re travelling to Melbourne for business, it is recommended that you choose a chauffeured transfer service as Melbourne’s road rules are vastly different to anywhere else on earth. If you’re flying into Melbourne from abroad, we can assist with getting you to the right hotel on time, even if English isn’t your first language. We also offer “the scenic route” if you’re interested in seeing some of this amazing city before heading into long days in boardrooms. If you’re looking for an easy, affordable airport transfer option in Melbourne, talk to us now about our payment options or make a booking. Melbourne is serviced by two main airports and two minor airports – largely used only in emergencies. Both Tullamarine Airport and Avalon Airport are a long way from the city centre. Airport transfers from Melbourne Tullamarine should be booked well in advance as it’s a busy destination and taxis are in high demand. Booking an airport transfer at Melbourne Tullamarine may mean waiting in long queues only to be disappointed. Commuting from Tullamarine Airport takes around 35 minutes in clear traffic; however, the roads between the airport and city are some of Melbourne’s busiest and most congested. It pays to choose an airport transfer option that gives you the flexibility and local knowledge to take the path less travelled if you need to be at your meeting on time. Avalon Airport is located west of Melbourne city, close to the city of Geelong. The driving time is around an hour in clear traffic however Avalon airport transfers require travel on the busiest road out of Melbourne to its sizeable neighbour. Because of the distance, pre-booked airport transfers to Melbourne will likely be more cost effective than a taxi. Because of the relatively isolated location, getting an airport transport service on the ground will prove difficult. It’s best to pre-book your transfers before you travel to Avalon Airport. Essendon and Moorabbin Airports are no longer regularly used for commercial flights; however they are capable of taking overflow traffic in an emergency or when landings are affected by Melbourne’s notorious weather. Essendon was once Melbourne’s main airport, now replaced by Tullamarine. If you’re flying into Melbourne and there are any issues, be sure to book a trusted airport transfer company that can collect you wherever you may land. Unfortunately there are no simple public transport options from Melbourne’s two major airports to the city. Tullamarine Skybus transfers are run privately and pick up from Spencer Street and drop off to both the domestic and international terminals at Tullamarine airport. As this is not a rail service, you’ll need to consider traffic times as well as normal passenger related delays. TIP: Check with Skybus for transport fees for your travel group and compare with limousine and town car providers. You may find that your luxury, comfortable Melbourne airport transfer is far better value. Avalon Airport bus transfer options also include privately run busses as the main option (public transport is available but in the form of “local busses” which make frequent stops and may require multiple transfers before reaching your destination). Private shuttle busses leave from Southern Cross Station coach terminal on Spencer Street. TIP: Again, it may be more affordable to book a private limousine or town car than paying private bus fees for your Avalon airport transfers. Tullamarine Airport features a thriving hub of nearby hotels, restaurants and amenities for travellers on short stays. These include everything from a luxury Mantra property to clean, convenient 24 hour check-in business hotels. Book an airport transfer service to Melbourne via your nearby hotel and then return to the hotel in the evening. You can then choose a local taxi service or hotel courtesy bus for your return flight without fear of delay. The choices for local hotels near Avalon Airport are far more limited. If you’re travelling to Geelong on business, you may be able to book a Melbourne based airport transfer service to take you to and from Geelong city. How do we know what to look for? CitiCar, backed by a national network of professional chauffeur driven vehicles, has won international praise for professionalism, reliability and style. Whatever your style, whatever your destination, we’re driven to serve you better. Book CitiCar for your next Melbourne Airport transfer and discover what it means to arrive in style, in Australia’s most stylish city.